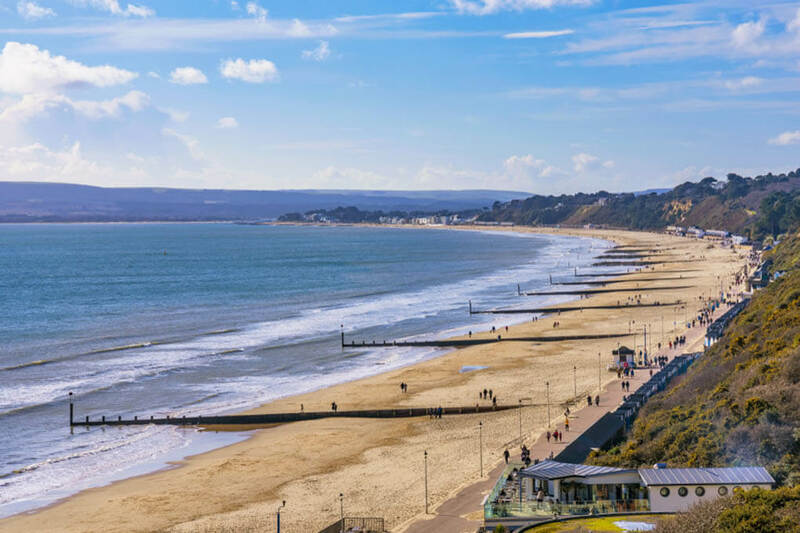 Bournemouth is an ideal destination for a seaside holiday on the sunny south coast. Enjoy miles of soft golden beaches and great attractions along the Dorset coast with our great value coach holidays to Bournemouth. Our coach trips to Bournemouth range from short breaks to lengthier holidays that visit Bournemouth during a full day excursions. 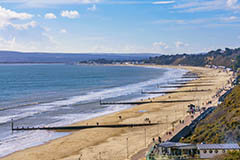 When people think of Bournemouth, they often think about the seven miles of soft golden sands and award winning beaches. And they would be quite right in thinking so, not only has Bournemouth been awarded Blue Flag Awards it has also been voted as 'Britain's Best Beach' by the readers of Coast Magazine. The town and the surrounding Dorset coast play host to a variety of wonderful attractions many of which lie in the heart of the town itself, there really is something for everyone. Dorset is full of natural beauty places and Hengisley Head with lovely walks and stunning views from every angle is definitely one to visit. A comprising historic house, art galleries and museum, a licensed cafe, the Russell-Cotes Shop and a children's area. A brilliant place for learning, exploring, socialising and relaxing within Bournemouth. Bournemouth's seafront hosts a wide array of attractions. Take the land trains to take you across the beach between Alum Chine and Boscombe, for a scenic view of the magnificent beachfront. Hire one of Bournemouth's famous beach huts, or relax at one of the many award-winning beachside restaurants, cafes and bars. Enjoy a pleasant and relaxing walk through this lovely and peaceful place surrounded with well-maintained flower beds. Enjoy a lovely walk along the wooden boards of Bournemouth pier with great views and old fashioned vibes. If you cannot find a suitable coach holidays to Bournemouth contact us and let our experienced travel agents help you find your perfect coach holiday to South Coast or any other destination in England.